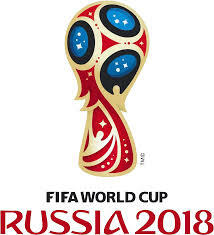 World cup Rusia now is start in first match. As a host, so the first match Russia vs Saudia arabia. After months of anticipation, World Cup 2018 finally gets underway on Thursday as hosts Russia take on Saudi Arabia at the Luzhniki Stadium in Moscow. Little is expected of Russia at the tournament, but their best chance of qualifying for the knockout stage involves beating a nation making their first World Cup appearance since 2006. Russia have brought 38-year-old Sergei Ignashevich out of international retirement because of a number of defensive injuries and he is expected to start. Star man Aleksandr Kokorin misses this tournament with a knee injury so their most likely match-winner is striker Fedor Smolov. Saudi Arabia coach Juan Antonio Pizzi faces a selection dilemma up front. Mohammed Al-Sahlawi and Muhannad Assiri both rotated in the warm-up friendlies. The opening World Cup game features the two sides ranked the lowest in the competition. Partly due to a lack of competitive matches, tournament hosts Russia have slipped to 70th in Fifa’s rankings, three places lower than Thursday’s opponents. The respective form of each side is befitting of their rank. Russia are without a win in seven matches, a run stretching back to October, while Saudi Arabia come into the game off the back of successive friendly losses to Italy, Peru and Germany. Saudi Arabia cannot draw on a strong World Cup pedigree either. This is their first appearance since 2006 and in their last three tournaments they have lost seven and drawn two of their nine group games. The World Cup hosts have never been beaten in the opening match. If Russia do lose then not only will they set a tournament first, but qualification for the last 16 would appear unlikely. Russia are not a particularly good side, but then neither are Saudi Arabia, and I think home advantage will see them through this game. Saudi Arabia won 4-2 at home in the only previous encounter, a friendly in October 1993. Since the dissolution of the Soviet Union, Russia have never reached the knockout stage of the World Cup in three attempts (1994, 2002, 2014). They have finished third in their group in each of those three tournaments. France were the last World Cup hosts to win the trophy in 1998. South Africa, in 2010, are the only host nation to be knocked out in the group stage. Russia are winless in their last five games at the World Cup (D2, L3). Their only two victories at the World Cup as an independent nation were against African teams (6-1 versus Cameroon in 1994 and 2-0 against Tunisia in 2002). If he plays, Sergei Ignashevich will become the oldest player to represent Russia at a World Cup (38 years, 335 days), surpassing Lev Yashin’s record of 36 years and 279 days. This is Saudi Arabia’s fifth World Cup, but their first since 2006. They have finished bottom of their group in their last three appearances. Saudi Arabia are winless in their last 10 games at the World Cup, losing eight of them, since beating Belgium 1-0 in 1994. They have never won their opening match at the World Cup (D1, L3). Saudi Arabia have kept only one clean sheet in their 13 World Cup fixtures. They have also failed to score in seven of their last nine games in the tournament. The Saudis have lost eight of their nine World Cup matches against European nations, with their solitary victory coming courtesy of Saeed Al-Owairan’s brilliant solo goal against Belgium in 1994. Mohammed Al-Sahlawi scored 16 goals in qualifying – the joint-most of any player, although eight of those came in two games against Timor-Leste. 11pm. We will update ok! !